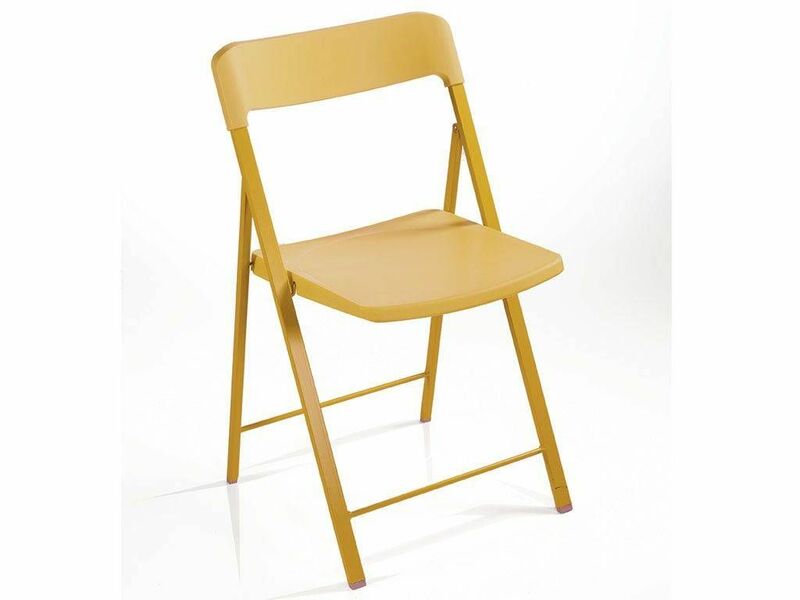 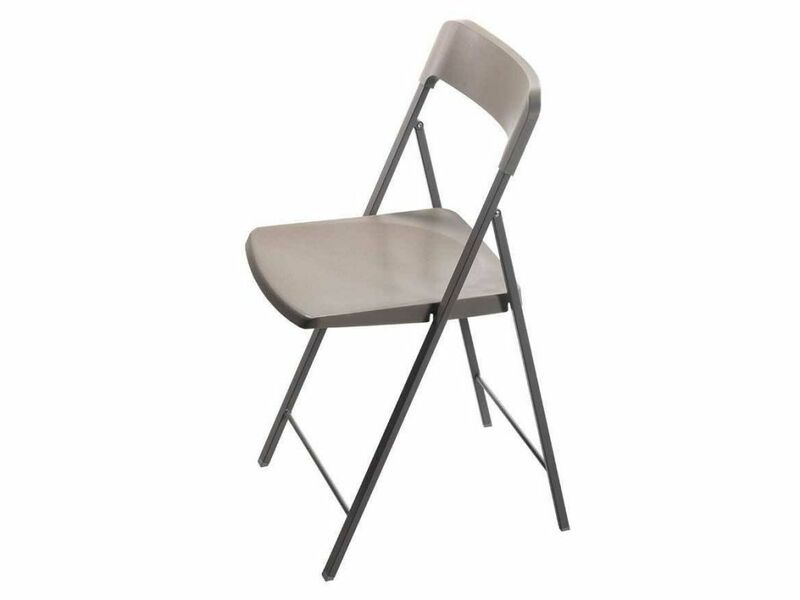 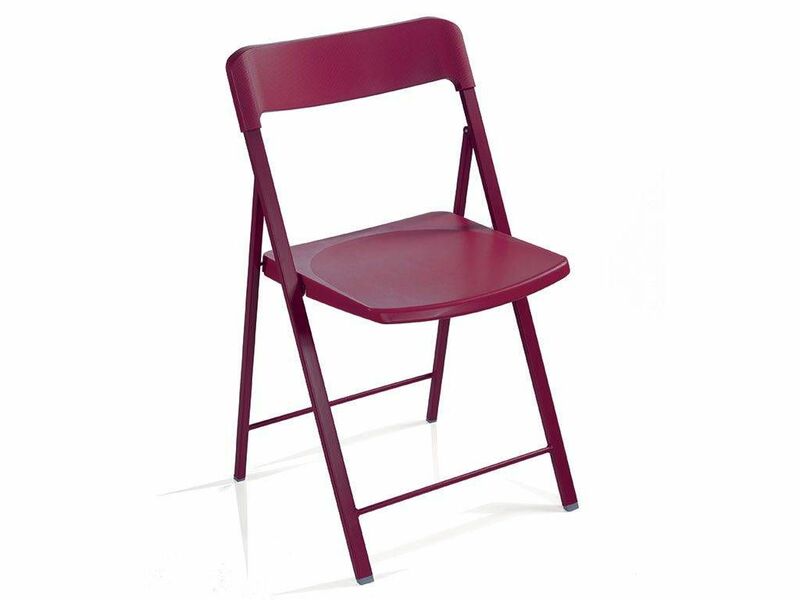 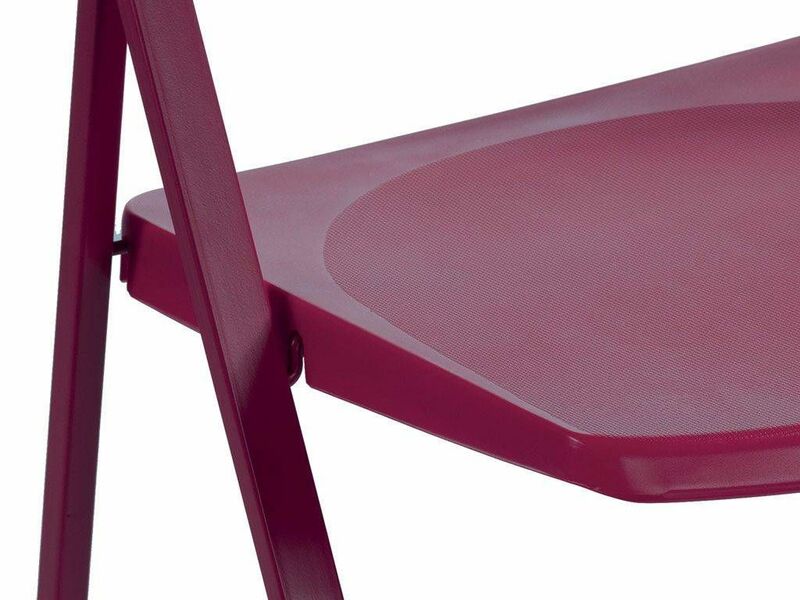 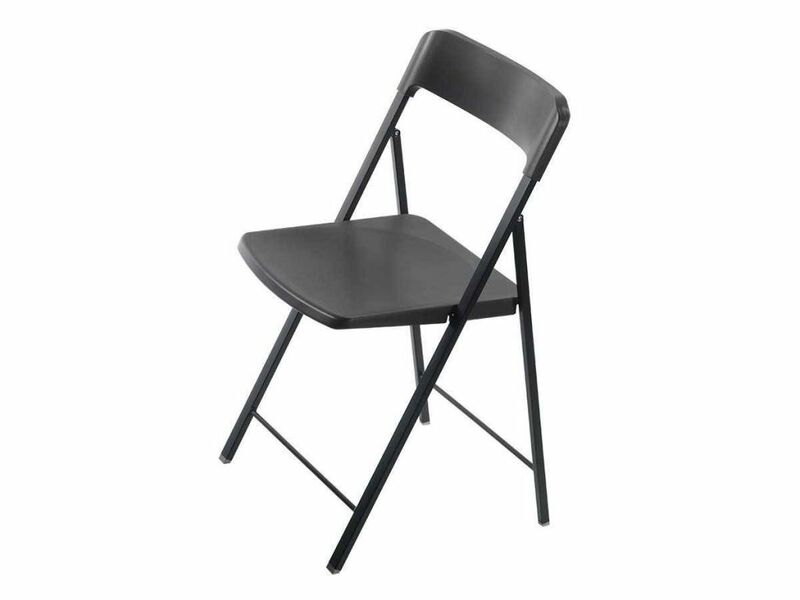 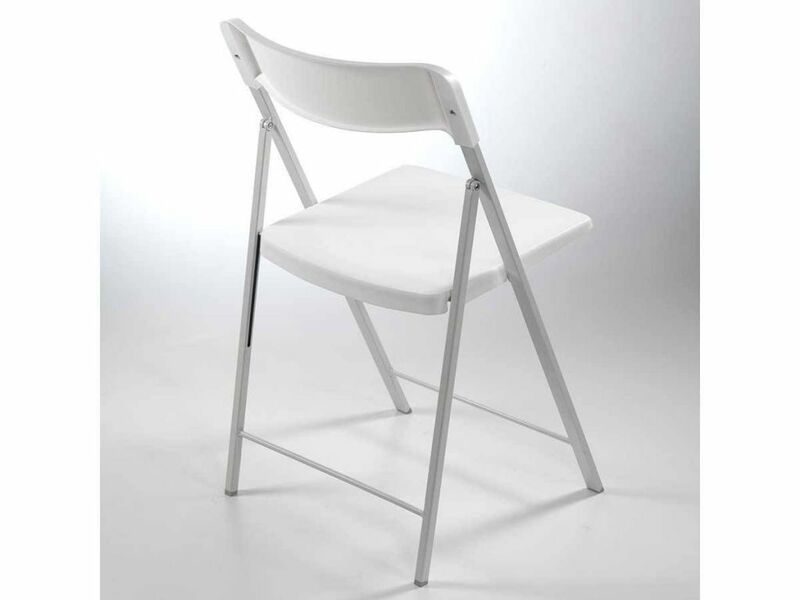 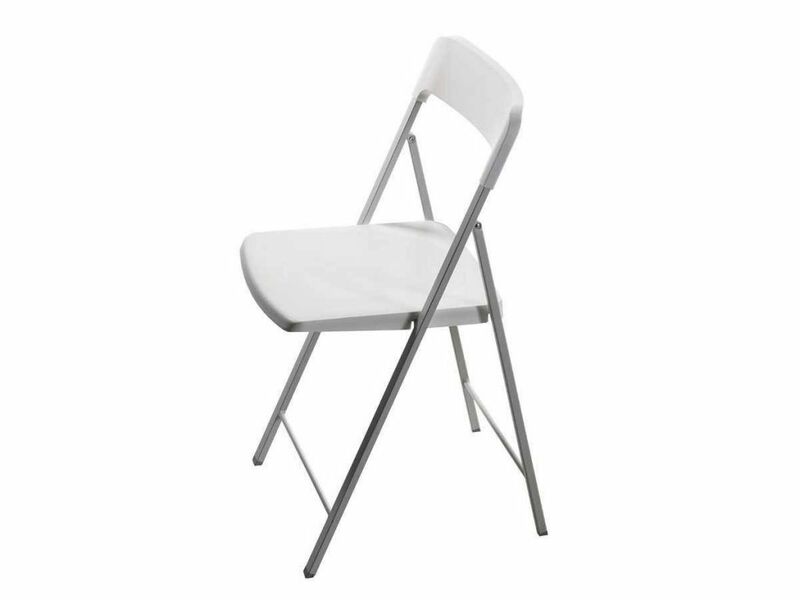 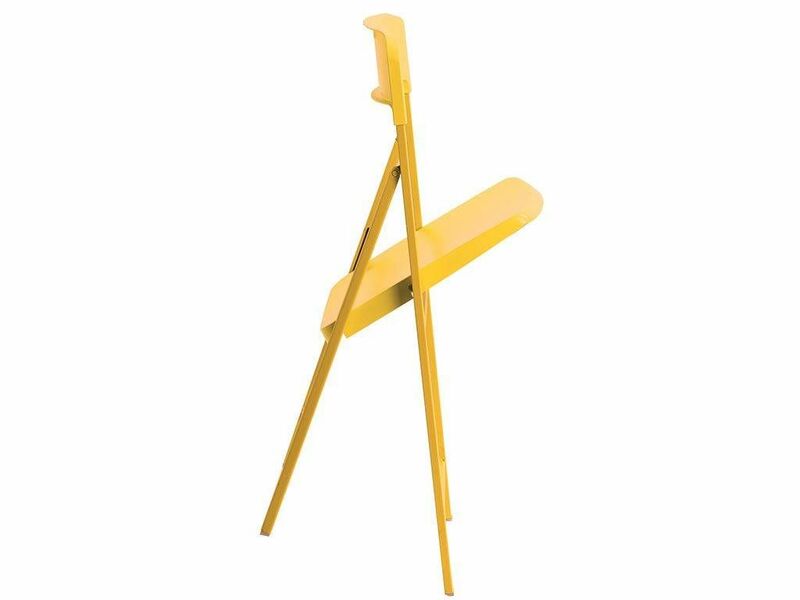 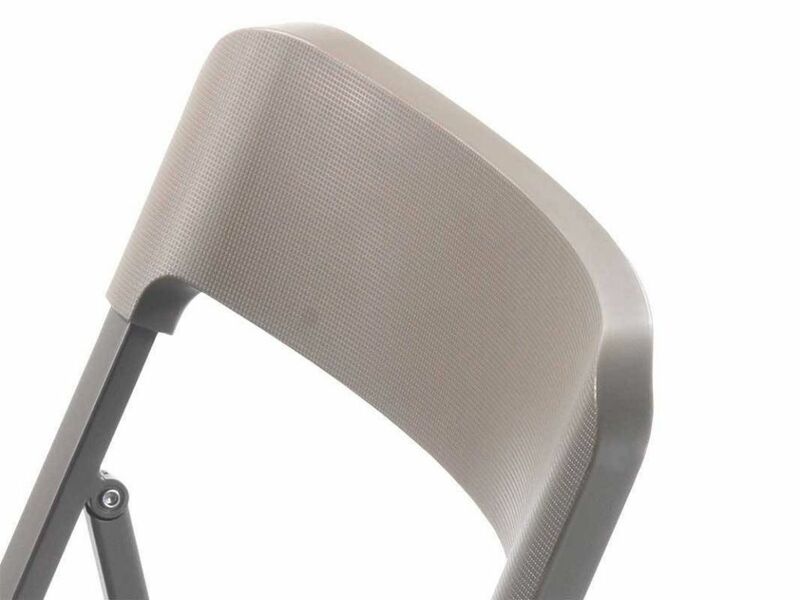 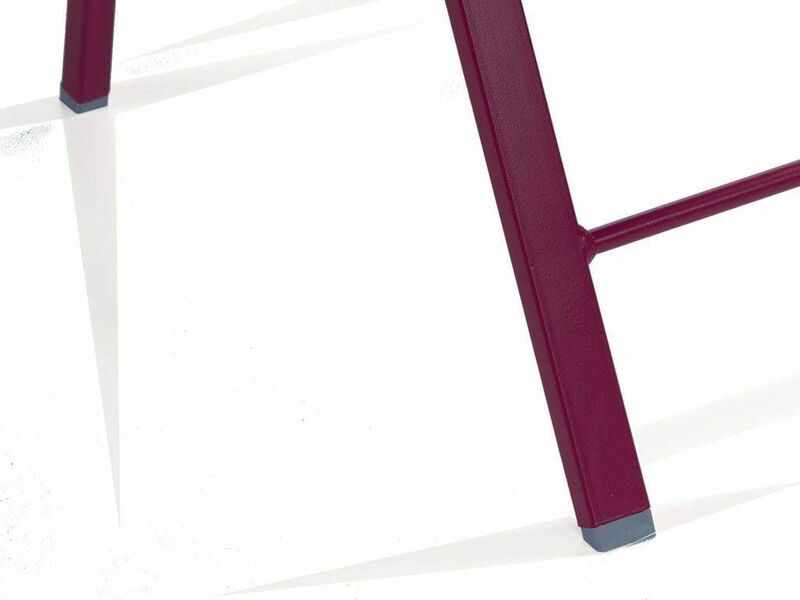 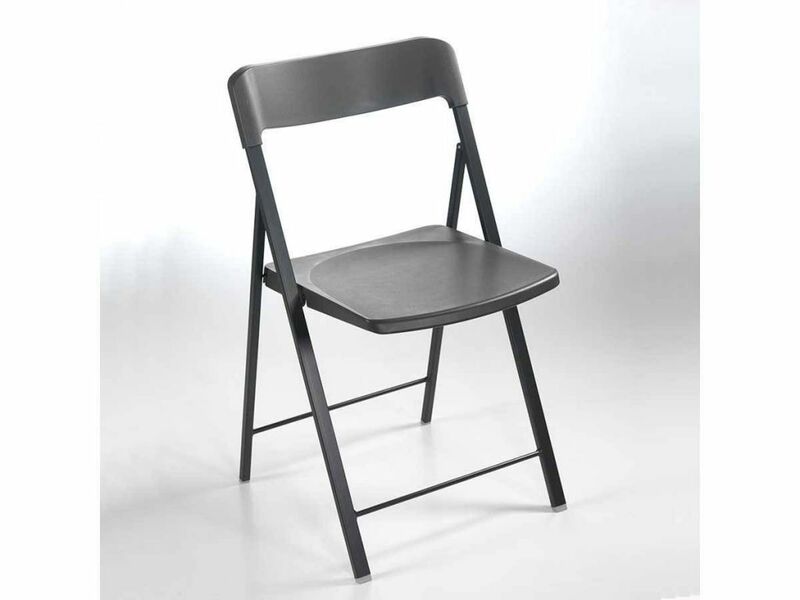 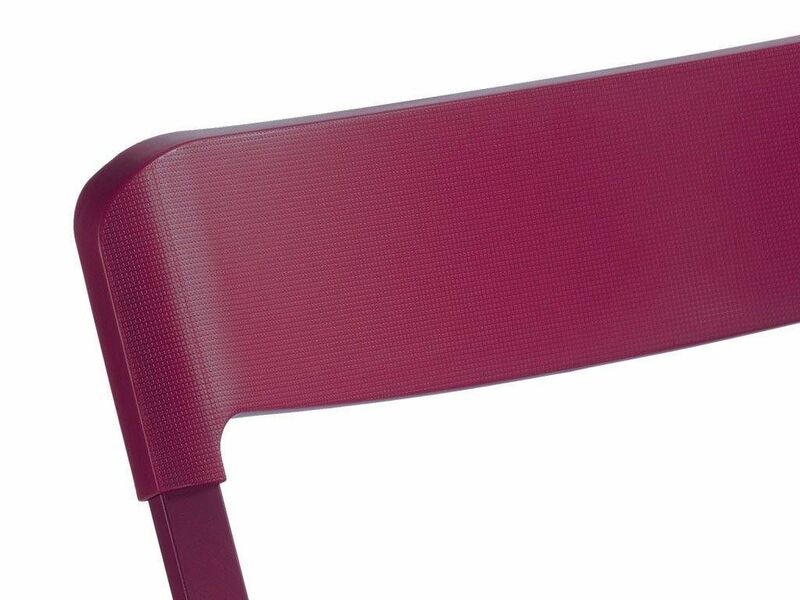 Foldable chair with structure in varnished steel seat and back in plastic. 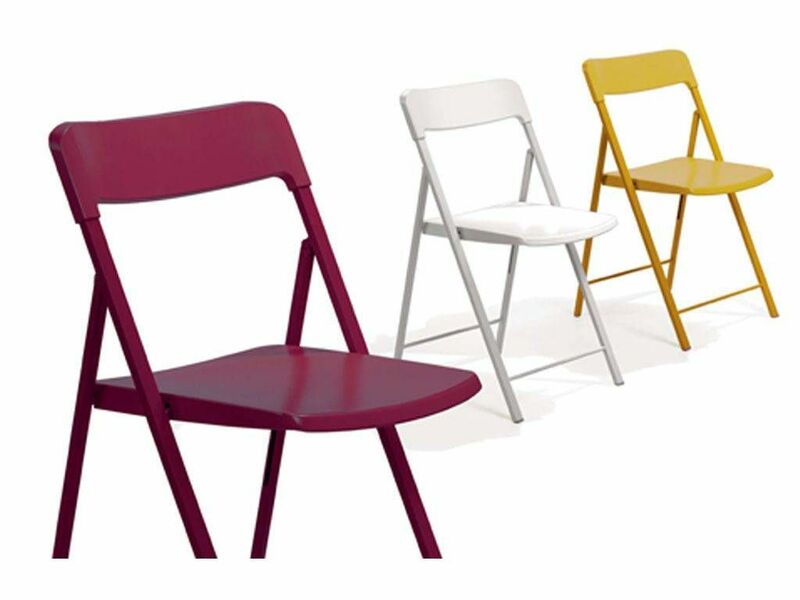 MINIMUM ORDER 6 units, with possibility to choose between 1 colour or 6 mixed colours. 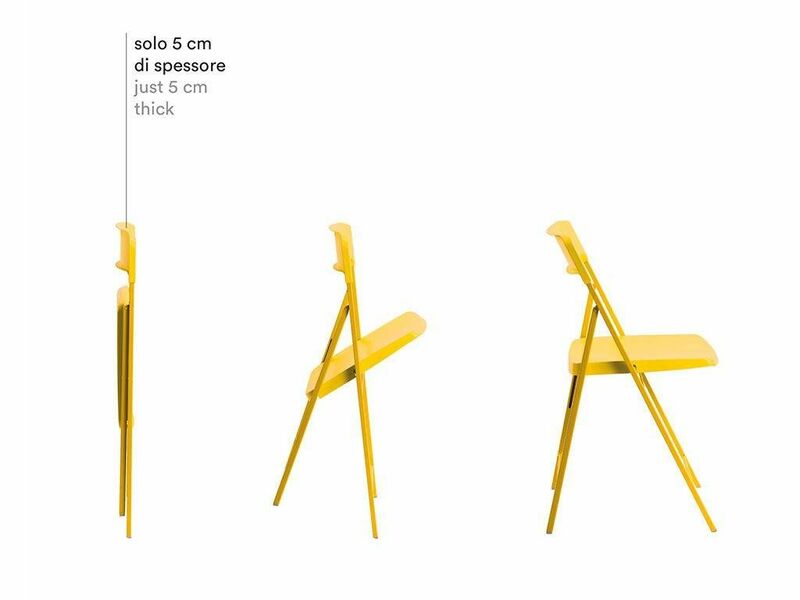 The price refers to one single product. 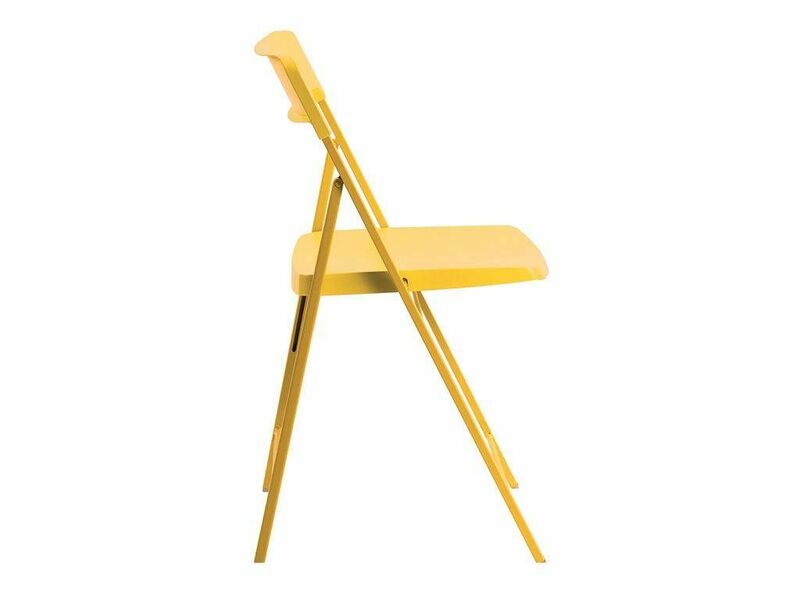 Colours: White, Aquamarine, Yellow, Graphite, Red, dove gray or multicolour with 6 mixed colours.